Friends of the Teanaway | Website for non-profit group "Friends of the Teanaway"
Website for non-profit group "Friends of the Teanaway"
to conserve its forest lands, preserve its recreation opportunities, and protect its waters and wildlife for future generations. 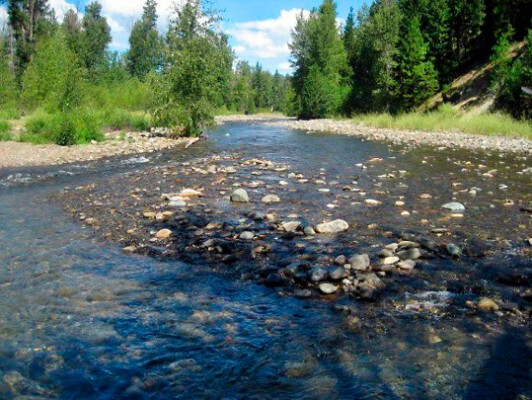 The Teanaway is a beautiful, quiet, rural valley in central Washington State, 15 miles east from the town of Cle Elum and a two hour drive east from Seattle. Small farms, ranches and homesteads are scattered along the river on the valley floor and surrounded by the newly established Teanaway Community Forest. (see our Community Forest page). To the north, at the head of the valley are Wenatchee National Forest and the Alpine Lakes Wilderness. A paved, two-lane, dead-end county road winds for about 15 miles up the valley, following the Teanaway River and providing spectacular views of Mount Stuart. Local residents treasure the quiet solitude, dramatic scenery and abundant wildlife of the valley as well as the many opportunities for outdoor recreation. Hunters, fishermen, hikers, horsemen, cross country skiers, snowmobilers, mountain bikers, birdwatchers, mushroom hunters and photographers from all over the Northwest have cherished this valley for generations. 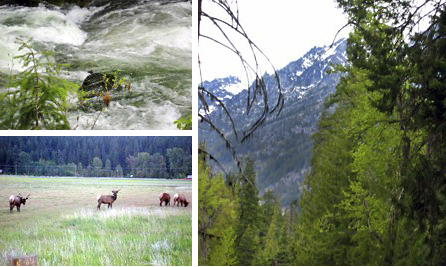 The valley is considered to be one of the most pristine and ecologically valuable and diverse river drainages of the Cascade Range.